Despite the decades of anti-communist, anti-stalinist propaganda by the bourgeois apparatus, the majority of the Russians have a positive view over Joseph Stalin's role in history. More specifically, according to a recent poll conducted by Levada Center, over 50 percent (the highest ever) of Russians positively view Soviet leader Joseph Stalin and his role in the country’s history. 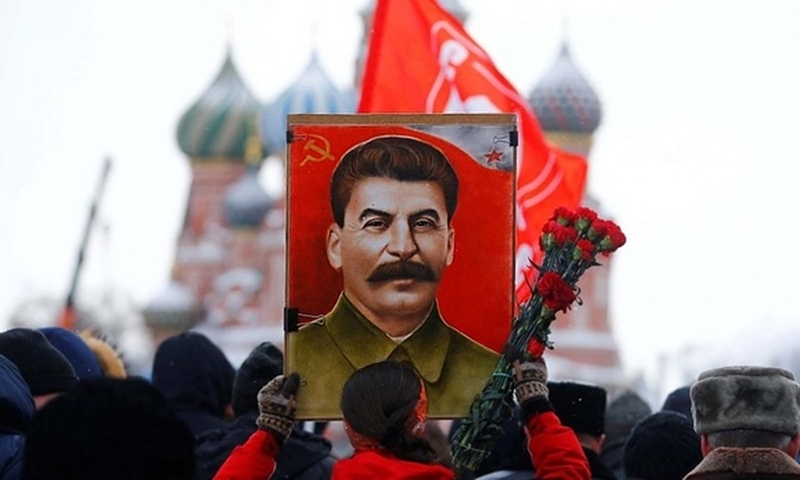 It is characteristic that the share of Russians who regard Stalin with respect has grown 12 percent, while the share of those who perceive the Soviet leader indifferently or negatively decreased by almost three times since 2015. As many as 70% consider Stalin’s role in the country’s history “rather positive,” praising him for defeating Nazism. Meanwhile, just 19 percent say he played a negative role. It is significant to mention that the Levada study shows that the positive perception of Joseph Stalin increased not only among Communist party supporters, who are traditional sympathizers of the Soviet leader, but also among other political groups.